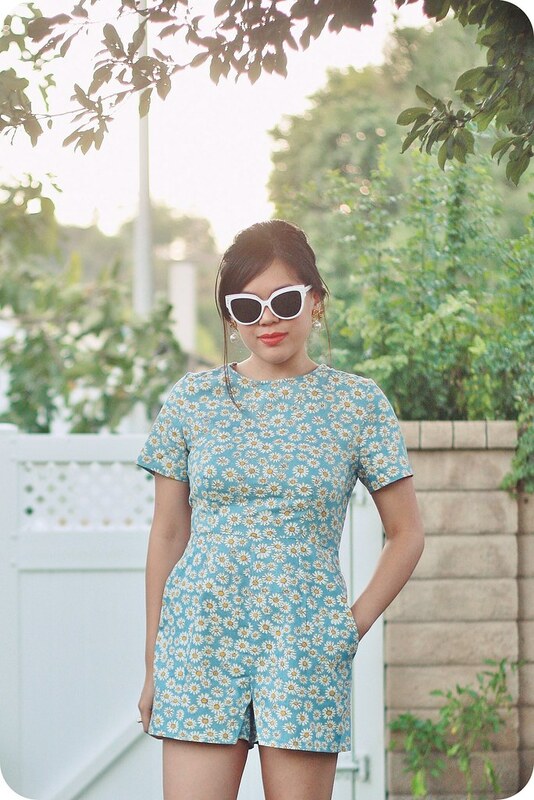 Yes, more daisy prints! I can't get enough. 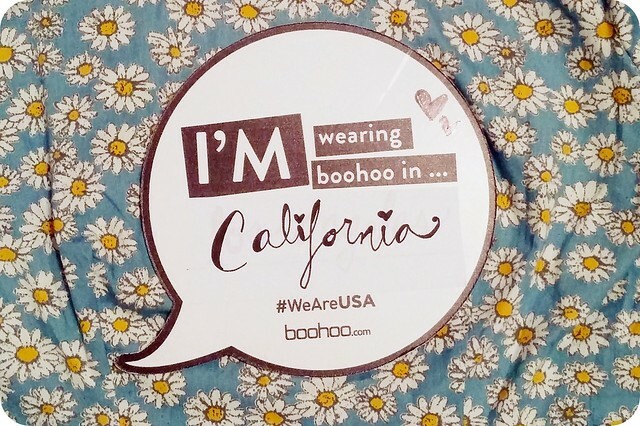 I'm teaming up with Boohoo to show off my state and style for their #WeAreUSA campaign. #WeAreUSA is about celebrating the unique personalities that are expressed through fashion, and embracing the differences in everyone’s individual style and identity. 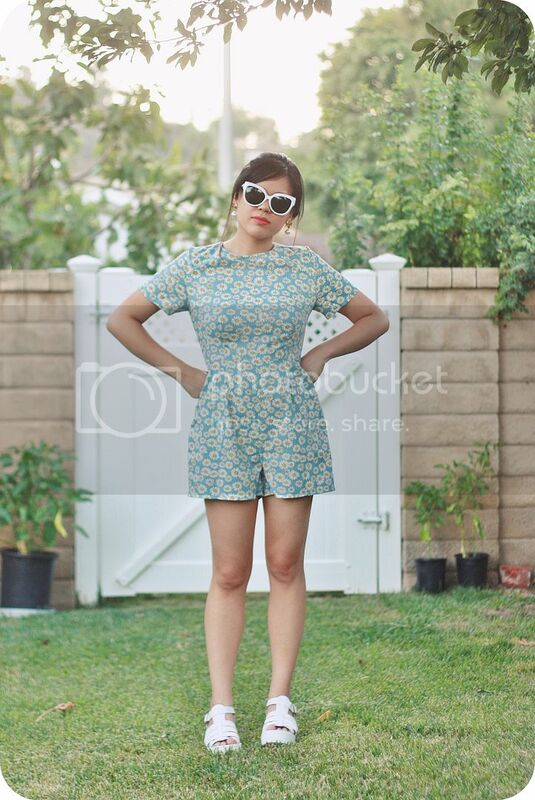 I'm a California girl, born and bred, and I can't imagine myself anywhere else. 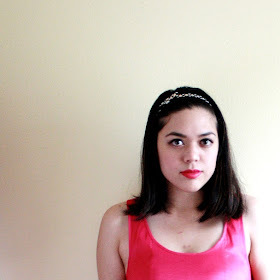 I'm constantly impressed with Boohoo's wide range of styles and sizes. It really is easy to find something that will suit your personal tastes, no matter what state (or country) you're from. 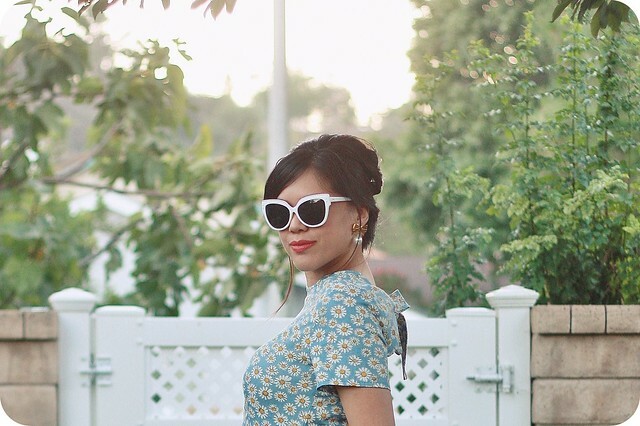 I chose a retro style romper (check out the bow on the back below!) 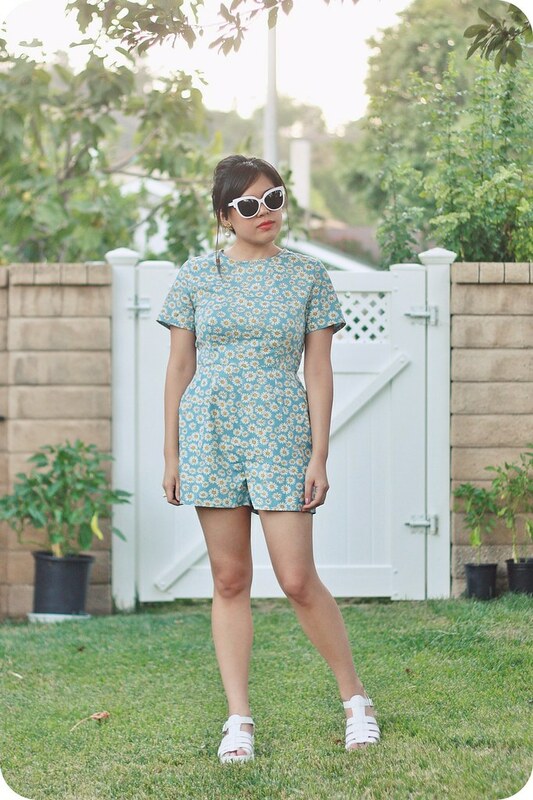 with an adorable daisy floral print, chunky white cleated platform sandals (I've been wearing these a lot lately--they add a certain playfulness to an outfit), and white cat-eye sunglasses to complete the look. 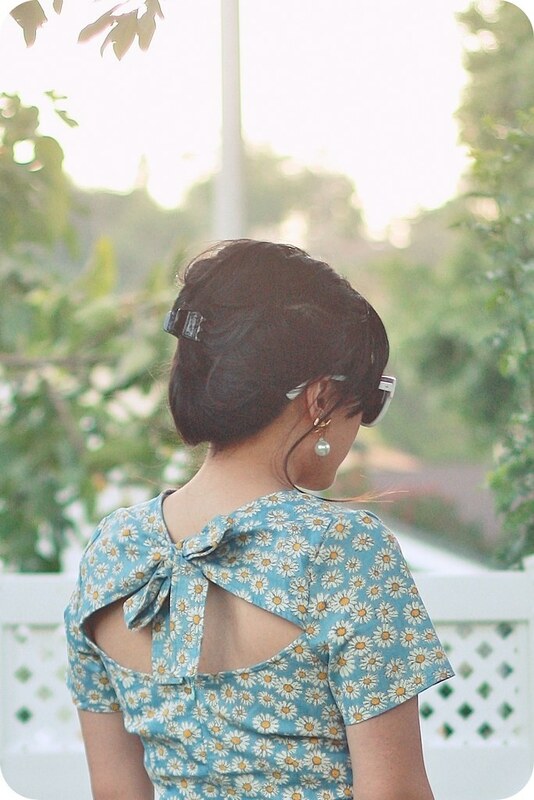 I even attempted a mini beehive of sorts, but alas, the heat and humidity flattened my hair almost immediately. I'll make it happen someday. I just need a little more practice. And tons of hairspray.